We are available 24/7 to provide you with a non-binding and free price quotation for our cleaning service. Just call 020 3746 1366 or fill out the online contact form! We are among the recognised carpet cleaners in Bexleyheath DA7. Since the beginning, Our company has worked hard to establish itself as a top preferred and leading carpet cleaning service around. Our professional cleaning services company works with many business and private customers. We will safely clean all types of carpets and a special stain protection can be applied. We work with and invest in the most modern professional cleaning technologies, methods and solutions, because the satisfaction of our clients is our top priority! To boost the longevity of your carpet, and to look like it is brand new, order our expert carpet cleaning service now! We can offer you reliable and affordable deep carpet cleaning by using the latest and most efficient carpet cleaning approaches good for carpets and rugs with natural or synthetic fibres. Our dry carpet cleaning Bexleyheath is the best way to clean and rejuvenate delicate rugs or carpets which cannot be washed with moisture. 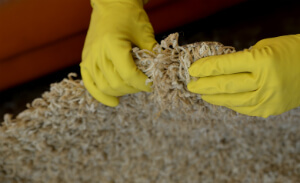 The carpet cleaners inspect and hoover the carpet, pre-treat any spots and stains that can be removed and proceed with the dry compound cleaning process. It requires no drying time. The steam carpet cleaning is performed with the help of a powerful hot water extraction machine. The steam carpet cleaners will shampoo and then wash your carpet and will extract almost all of the water used back into the cleaning machine. Your carpet will need 2 to 3 hours to dry. If you are in a rush, we can use an air moving device to accelerate the drying process to about an hour. We provide the business owners and people situated in Bexleyheath DA7 with the top quality deep carpet cleaning in the . Ashlee House Cleaning has been offering professional steam carpet cleaning and dry foam carpet cleaning for over a decade. All of our cleaners are hand-picked after personal recommendations. They are police background checked, experienced and trained in using our modern professional carpet cleaning equipment, tools and solutions. Our prices are affordable and fixed. We will not charge you extra hidden fees. We can clean any type of carpet or rug, and offer carpet removal of various stains, such as: paint, rust, oily stains, blood, wine, tea, vomit, coffee and can repair moth damage on your rug or carpet. We can provide regular or one off cleaning for properties as well. Take advantage of our simple booking system right away! No deposit is needed for hiring our carpet cleaning experts in Bexleyheath DA7. Speak to our 24/7 customer support at 020 3746 1366 or online here. Choose any day you want for the cleaning service. Our reasonable prices are fixed, so there are no hidden charges. You can get preferential rates if you are a landlord, estate agency, regular customer or if you book early. Get a discount for booking several of our cleaning services today!